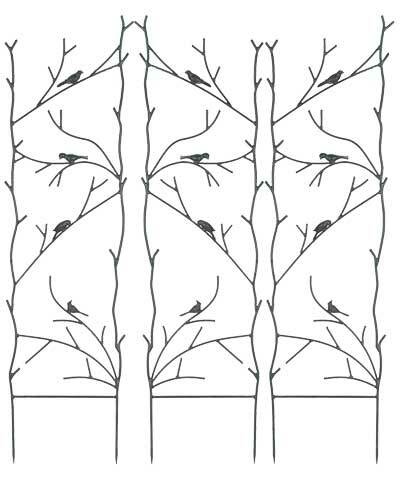 Celebrate songbirds and showcase them in your landscaping using these Gardman Antique Rust Nature Trellises. This set of 3 metal trellises perfectly combines your love of gardening and birding, thanks to the brown color and twig and bird accents. Round, metal rods create the tall, rectangular frames, while additional rods arc and bend to evoke twigs. A few bird figures rest on each trellis, furthering the theme, and the open and uneven top of each piece adds striking shape to your yard. Place these three units in a line for a screened effect, or situate them throughout the landscaping for a unified garden. The all metal body of each piece lasts for many seasons, and the two, pointed legs on each stake into soil in moments for a straightforward and stable installation. Enjoy a few feathered friends within your plants all year using these Antique Rust Nature Trellises. Note: This case pack includes 3 of the Gardman Nature Trellises, Antique Rust, 50.5"H.